This luxurious minky blanket has been finished with a black satin binding. 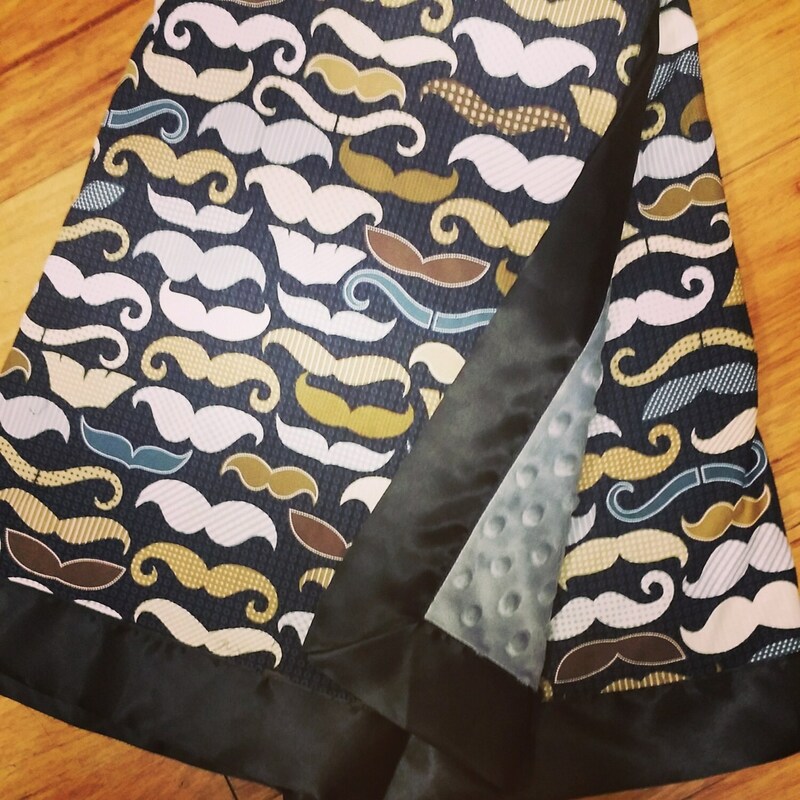 This has a cotton mustache fabric on top and grey minky dot on the bottom. It's shipped quickly and it will be the perfect blanket for our new bundle of joy on his way.